I received three new Civil War books to review in rapidfire succession this week, so this In the Review Queue will cover all three and will be in a slightly abbreviated format. It also appears that Drew Wagenhoffer and I like the same publishers. This is the third and final volume of Earl Hess’ study of field fortifications in the American Civil War. As long time readers of TOCWOC – A Civil War Blog already know, I enjoy studying the under covered battles of the Petersburg Campaign. In addition, I’ve read, reviewed, and enjoyed the first book in Dr. Hess’ series, Field Armies and Fortifications in the Civil War, and while I have yet to read Trench Warfare under Grant and Lee: Field Fortifications in the Overland Campaign, I will probably skip over that book for the present and go straight to this one. The subject of how the field fortifications grew and morphed throughout the nearly 10 month long Petersburg Campaign is one of extreme interest to me, so I have literally been looking forward to this one since it was only a rumor several years ago. 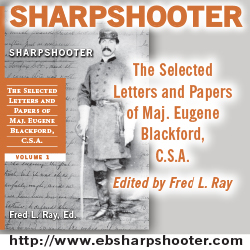 This one is part of the University of North Carolina Press’ Civil War America series. Click here for a look at the University of North Carolina Press page for In the Trenches at Petersburg. This book is also in the previously noted Civil War America series. As Drew mentions in his latest Booknotes series entry, this book has the potential to “be the best ‘big picture’ book to date” on guerrilla operations during the Civil War. Unlike Petersburg, guerrilla operations are admittedly not an area of expertise for me. With that said, I am looking forward to gaining an overall understanding of those operations by reading A Savage Conflict which will then allow me to explore further books on the subject with more prior knowledge. Click here for a look at the University of North Carolina Press page for A Savage Conflict. On the official page for the book, Sutherland’s thesis appears to be that guerrilla warfare served to undermine the trust in the Confederate government as nominally “Confederate” guerrillas became more and more unruly as the war went on. 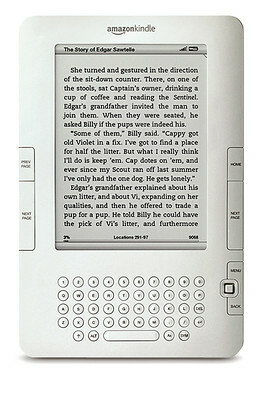 Ah, another “essay book”. Veteran TOCWOC readers know I love these as well. Multiple scholars take a look at “the social, political, and economic impact of the war on the people of both states, including disenfranchised groups such as women, refugees, and African Americans.” While I could do without some of the inevitable “race, class, gender” essays sure to be found in this one, the overall concept should ensure that I will find enough essays to be of interest to make the book a worthwhile purchase. I haven’t had a chance to leaf through this one yet, but it appears promising based on topic and format alone. 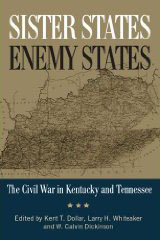 Click here for a look at the University Press of Kentucky page for Sister States, Enemy States.